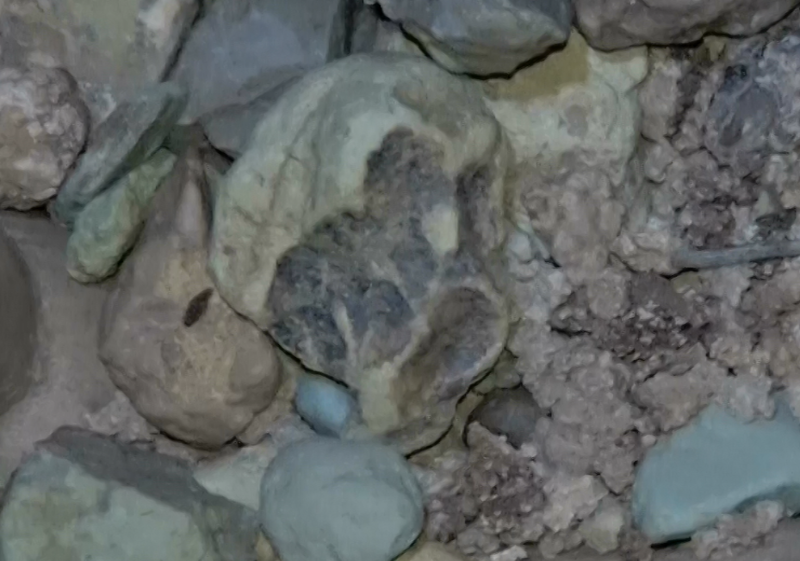 Hello there guys, I recently visited a cave up in the Mediterranean mountains with a group of fellow fossil hunters, among the fossilized water droplets covering the floor I found this strange specimen, I have found many fossils during my fossil hunting lifetime but I am not very good at identifying them. I'd really appreciate any help on what this is, to me it looks like anything from a fossilized skull to a fossilized sapling. I doubt it is a sapling though seeing as I found it in a cave. I take it to be a suggestively weathered cobble; the product of geology rather than biology.